Peter was speaking for all of the Twelve, because he had no suspicion of Judas’s betrayal. As that false disciple would soon make evident, he had not forsaken everything for Christ but was instead seeking to use Him for his own ends. He expected Jesus to overthrow Rome and set up His own earthly kingdom, with the disciples given the highest places of honor and power. Judas was much further from the kingdom than the rich young ruler, who at least knew he needed eternal life and had a certain desire for it. Judas, on the other hand, was totally concerned with his present, earthly life. But the rest of the Twelve, despite their small faith and slowness to understand Jesus’ teaching, had truly given themselves to Him. They shared with Judas many of the common Jewish misconceptions about the Messiah and His kingdom. They may still have been expecting Him to establish the kingdom during their lifetimes and therefore could not bring themselves to accept the idea of His suffering and death. But they nevertheless continued to follow and obey Him. As Peter had declared in behalf of the Twelve, “You have words of eternal life. And we have believed and have come to know that You are the Holy One of God” (John 6:68–69). Some have criticized Peter for his expectation of blessing and reward. But Jesus gave no hint of dissatisfaction with the question. Instead, He acknowledged that they were indeed His true and sincere disciples, referring to them as you who have followed Me. The Greek aorist participle characterizes them as His followers. Next, He gave them the marvelous and unique promise that in the regeneration when the Son of Man will sit on His glorious throne, you also shall sit upon twelve thrones, judging the twelve tribes of Israel. The term palingenesia (regeneration) literally means new birth. It was used by Josephus for the new birth of the Jewish nation after the Babylonian Captivity and by Philo of the new birth of the earth after the Flood and after its destruction by fire. It is used only twice in the New Testament, here and in Titus 3:5, where Paul uses it to refer to the personal new birth of believers. In the present passage, however, Jesus uses it to represent the rebirth of the earth under His sovereign dominion at the time of His second coming. It will be paradise regained and a global parallel to the individual rebirth of Christians. The earth and the world of men will be given a new nature, described in great detail by the Old Testament prophets and by John in Revelation 20:1–15. Just as they have been given spiritual life and a new nature in Jesus Christ but are not yet perfected, so there will be a rebirth of the earth that is divinely recreated. Although it will not yet be a totally new earth (Rev. 21:1), it will nevertheless be wonderfully superior to the present fallen and unredeemed earth. It was the belief of the Jews that Messiah would renew the earth and heavens, based on the prophecy of Isaiah 65:17 and 66:22. Peter called it “the period of restoration of all things about which God spoke by the mouth of His holy prophets from ancient times” (Acts 3:21). All believers will sit on the throne of Christ (Rev. 3:21), exercising authority over the people of the earth (Rev. 2:26), while the apostles are uniquely ruling restored Israel. This cannot be the eternal state described in Revelation 21:12–14, where twelve gates in the New Jerusalem are inscribed with the names of the twelve tribes and twelve foundations are inscribed with the names of the twelve apostles. At the time of the restoration of the earth, righteousness will flourish, peace will abound, Jerusalem will again be exalted, health and healing will prevail, the earth will produce food as never before, the lion will lay down in peace with the lamb, the deserts will blossom, and life will be long. The age-old curse that began with the Fall will then be limited, in anticipation of its being eliminated completely in the eternal state to follow (Rev. 22:3). As God had long before predicted, the Messiah, the Lord’s Anointed, will then receive all the nations as His inheritance and have the very ends of the earth as His possessions. “Thou shalt break them with a rod of iron,” the psalmist declared; “Thou shalt shatter them like earthenware” (Ps. 2:2, 8–9). Then the Son of Man will sit on His glorious throne, as King of kings and Lord of lords (Rev. 19:16). This is a reference to the prophecy of Daniel 7:13–14, where God, “the Ancient of Days,” gives the kingdom to the Son of Man. Jesus is affirming the reality that He will rule in the coming kingdom. At that time the redeemed of all the ages will also reign with Him. “Then the sovereignty, the dominion, and the greatness of all the kingdoms under the whole heaven will be given to the people of the saints of the Highest One; His kingdom will be an everlasting kingdom, and all the dominions will serve and obey Him” (Dan. 7:27; cf. 1 Cor. 6:2; Rev. 20:4). The nation of Israel will be restored, and sharing Christ’s rule over her will be the Twelve apostles, who also shall sit upon twelve thrones, judging the twelve tribes of Israel. Matthias, who took Judas’s place among the apostles shortly before Pentecost (Acts 1:26), will join the other eleven on the twelve thrones (cf. Dan. 7:22 and Isa. 1:26). If Jesus was referring to a real reigning on His part when He spoke of His throne, He must be referring to literal thrones that the apostles would sit upon while literally judging the twelve tribes of Israel. And as already noted, this millennial truth is also revealed elsewhere in Scripture. The Word makes clear that in the reign of Christ over the world, He will be sovereign and rule over Jews and Gentiles with righteousness, peace, and immediate justice. He will be worshiped as supreme Lord, and His kingdom will bring prosperity, healing, health, and blessedness. Not only that, Jesus continued, but “everyone who has left houses or brothers or sisters or father or mother or children or farms for My name’s sake, shall receive as much, and shall inherit eternal life.” Those who renounce their possessions and become poor for Christ’s name’s sake are going to share with the apostles in His triumph and reign. Mark reports that Jesus said the person who gives up those things for His sake and the gospel’s “shall receive a hundred times as much now in the present age” (Mark 10:30). When a person comes to Jesus Christ he must often have to turn his back on certain relationships, even with those who are very dear to him. Many times his conversion turns his own family and closest friends against him, in some cases even to the point of seeking his disinheritance or even his life. But the one who gives up everything for Christ’s sake, not only will inherit eternal life but also the family of God in this present life. He will have a host of new fathers and mothers, brothers and sisters with whom he will forever be united in God’s divine family. Wherever he goes, he meets spiritual loved ones, many of whom he has never seen or heard of before. Throughout the world he finds those who will share his sorrows, encourage his spirit, and help meet his needs, material as well as spiritual. Matthew 19:29. And whosoever shall forsake. After having raised the expectation of his followers to the hope of a future life, he supports them by immediate consolations, and strengthens them for bearing the cross. For though God permit his people to be severely afflicted, he never abandons them, so as not to recompense their distresses by his assistance. And here he does not merely address the apostles, but takes occasion to direct his discourse generally to all the godly. The substance of it is this: Those who shall willingly lose all for the sake of Christ, will be more happy even in this life than if they had retained the full possession of them; but the chief reward is laid up for them in heaven. But what he promises about recompensing them a hundred-fold appears not at all to agree with experience; for in the greater number of cases, those who have been deprived of their parents, or children, and other relatives—who have been reduced to widowhood, and stripped of their wealth, for the testimony of Christ—are so far from recovering their property, that in exile, solitude, and desertion, they have a hard struggle with severe poverty. I reply, if any man estimate aright the immediate grace of God, by which he relieves the sorrows of his people, he will acknowledge that it is justly preferred to all the riches of the world. For though unbelievers flourish, (Ps. 92:7,) yet as they know not what awaits them on the morrow, (James 4:14,) they must be always tossed about in perplexity and terror, and it is only by stupifying themselves in some sort that they can at all enjoy prosperity. Yet God gladdens his people, so that the small portion of good which they enjoy is more highly valued by them, and far sweeter, than if out of Christ they had enjoyed an unlimited abundance of good things. In this sense I interpret the expression used by Mark, with persecutions; as if Christ had said, Though persecutions always await the godly in this world, and though the cross, as it were, is attached to their back, yet so sweet is the seasoning of the grace of God, which gladdens them, that their condition is more desirable than the luxuries of kings. 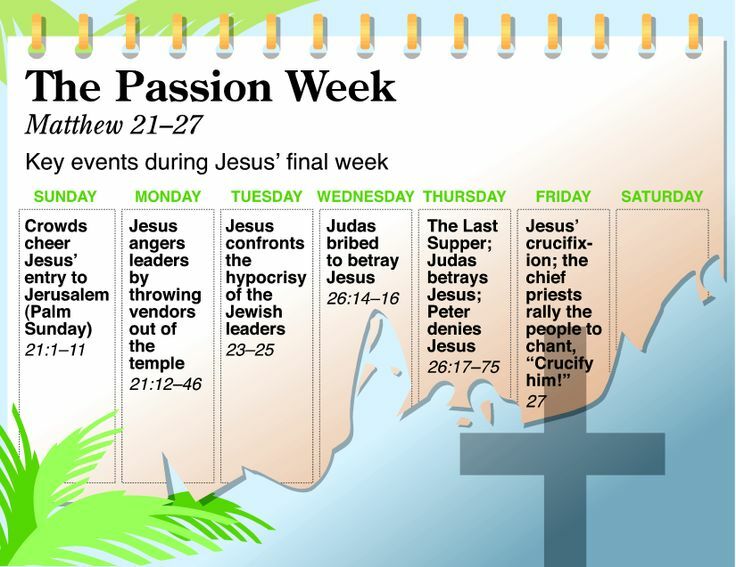 29–30 Jesus now extends his encouragement to all his self-sacrificing disciples (cf. Mk 10:30). The promise is not literal (one cannot have one hundred mothers). God is no man’s debtor. If one of Jesus’ disciples has, for Jesus’ sake, left, say, a father, he will find within the messianic community a hundred who will be as a father to him—in addition to inheriting eternal life (v. 29). The proverbial saying (v. 30) is one Jesus repeats on various occasions. Here he immediately illustrates it by a parable (20:1–16), climaxed by the proverb in reverse form (20:16) as a closing bracket. It indicates something of the reversals under the king’s reign. Attempts to restrict the application of this parable to one setting are not successful. Some say the rich become poor at the consummation and the poor rich (cf. vv. 16–29), as in Luke 16:19–31 (the story of Lazarus and the beggar). But such reversals are not absolute. Zacchaeus (Lk 19:1–10) was a rich man to whose house salvation came; Abraham, to whose “bosom” the beggar went, had great wealth. Many of the Fathers hold that the first/last idea refers to Jews and Gentiles respectively. Doubtless it may, but this theme is not dominant in these chapters. Some think the proverb assumes that the disciples had been arguing about priority on the basis of who was first called, to which Jesus responds that “the last will be first …” But this better suits the situation in Matthew 18 than in ch. 19. It seems preferable, therefore, to take the proverb as a way of setting forth God’s grace over against all notions that the rich, powerful, great, and prominent will continue so in the kingdom. Those who approach God in childlike trust (vv. 13–15) will be received and advanced in the kingdom beyond those who, from the world’s perspective, enjoy prominence now. 19:27–30 / Somewhat incongruously, Peter asks what reward there will be for the disciples who have given up everything in order to follow Jesus. The answer is that at the renewal of all things, when the Son of Man is enthroned, the twelve disciples will sit on twelve thrones, judging the twelve tribes of Israel. The Greek word translated the renewal of all things (palingenesia) occurs only here and in Titus 3:5 in the New Testament. It is a technical term developed by the Stoics, who expected a periodic renewal of the universe following its destruction by fire. In Jewish thought, regeneration referred to the renewal of Israel that would accompany the establishment of God’s earthly kingdom. Christians linked the concept with the enthronement of the Son of Man. The idea of judging (v. 28 has the participle krinontes) should be taken in the sense of ruling. The Hebrew judge was virtually the ruler of Israel. The symbolism of the twelve tribes is carried over into New Testament to represent the Christian church (cf. James 1:1). Everyone who has forsaken home and family will be rewarded a hundred times over and will inherit eternal life. But many who are first (those who have not made the sacrifice of family in order to follow Jesus) will be last, and many who are last (such as the disciples) will be first. That there are twelve followers is symbolic: it does not ensure a place in the New Age for Judas. 19:28–29. Jesus underscored the faithfulness of the promise he was about to make with his words, I tell you the truth. His additional words, you who have followed me, included all the diligent hardship and sacrifice Jesus had predicted would be the lot of his true followers. We hear in Jesus’ words warmth and affirmation for his followers. And that includes everyone who sacrifices for my sake. There is not only eternal life, but enormous rewards (a hundred times as much). The word renewal is from palingenesia (also Titus 3:5), meaning “rebirth” (palin, “again,” plus genao, “to give birth”). Jesus was referring to the future day when he would, after eliminating Satan and his influence, take over this earth and restore it to its original purpose (cf. Dan. 7:13–14; Rev. 3:21; 20:1–6). Using his title Son of Man in all its messianic fullness, Jesus gave his disciples a glimpse of his future glory as the king on his glorious throne. Aside from his transfiguration before Peter, James, and John, this was the fullest revelation of his future glory that Jesus had given his disciples. Jesus promised that the Twelve would share with him in ruling (this is the present meaning of judging) the twelve tribes of Israel. (This is the clearest statement in Matthew of at least one of Jesus’ reasons for choosing twelve disciples.) Part of the faithful disciple’s reward is authority in his kingdom (cf. believers’ future authority in Luke 22:30; 1 Cor. 6:2). Jesus had already assured his followers that discipleship implies sacrifice. Now he promised that any sacrifice made for my sake would be more than repaid. In between houses and fields Jesus listed even greater sacrifices—members of one’s family, even children (cf. 10:21–22, 34–37). But the reward for such sacrifice will be the repayment of a hundred times as much in some form or another. In the church, the Lord gives us a foretaste of this payment. If a person is rejected by his family for being a Christian, he finds many more “fathers and mothers, brothers and sisters” in the family of God. The true follower (in contrast to the rich young ruler) will inherit eternal life. The use of the term inherit here provides the sense of the new family (after one has been rejected by his old family). An heir is a son of the family from whom he inherits. 19:30. Jesus began to caution the disciples not to use a human yardstick when measuring eternal rewards. God’s estimation of worthiness is quite different from ours. The chapter break here is unfortunate, for the flow of thought is continuous. Many people who seem to be deserving of reward will receive less than is expected (though no less than they deserve). And many whom we might judge as undeserving will prove, in God’s economy, to be first, receiving great reward. The general promise, the one intended for all true followers of the Lord, is found in verse 29. And everyone who has left houses or brothers or sisters or father or mother or children or fields for my name’s sake shall receive a hundredfold, and shall inherit everlasting life. With this compare 10:37. This promise is for all who have in life chosen Christ above everybody and everything else, even above their nearest relatives and most cherished possessions. They have made the sacrifice, says Jesus, “for my name’s sake,” explained in Mark 10:29 as meaning “for my sake.” The “name” of Jesus indicates Jesus himself as he has revealed himself. See also on 6:9; 7:22; 10:22, 41, 42; 12:21. These loyal followers of the Lord are going to receive “a hundredfold,” that is, they will be reimbursed “many times over” (Luke 18:30). For “hundredfold” see also Gen. 26:12 and Matt. 13:8. Even in the present day and age (note Mark 10:30; Luke 18:30), that is, before the great day of judgment, and for each believer before his death, these loyal followers receive the blessings indicated in such passages as Prov. 15:16; 16:8; Matt. 7:7; John 17:3; Rom. 8:26–39; Phil. 4:7; 1 Tim. 6:6; Heb. 6:19, 20; 10:34; 1 Peter 1:8. In spite of the persecutions which they will have to endure, they will even be able to enjoy their material possessions (“houses … lands,” Mark 10:30), far more than the ungodly enjoy theirs. Reason? See Isa. 26:3; contrast 48:22. For the sake of Christ has it become necessary for his followers to forsake close relatives? New “relatives” will now be theirs (Matt. 12:46–50; Rom. 16:13; 1 Cor. 4:15), for they now belong to “the family of God” (see N.T.C. on Eph. 3:15). When Esau boasts about having “enough” or “much,” Jacob—rather “Israel”—answers that he has “all” or “everything” (Gen. 33:9–11 in the original Hebrew and in the Septuagint). With this compare Paul’s exuberant testimony (1 Cor. 3:22, 23). These treasures are real. Otherwise how shall we account for Paul’s triumphant outbursts of optimism (2 Cor. 4:7–18; 12:9; Phil. 4:10–13)? Jesus adds, “and shall inherit everlasting life.” As meant here this blessing pertains to “the age to come” (Mark 10:30; Luke 18:30). For the concept “everlasting life” see on verse 16. All the spiritual blessings that are bestowed upon God’s children in the present life “in principle” will be theirs “in full measure” in the hereafter. On and after the day of Christ’s return in glory material blessings will be added to the spiritual. They shall inherit them, in the present context implying that a. they are freely given to them, not earned by them; b. the gift is based upon justice: they were earned for them and are therefore theirs by right; and c. they are theirs forever. To the apostles and to believers in general Jesus has given rich promises. Does this mean now that the pledged blessings will be theirs regardless of how they conduct themselves? Not at all. It is only in the way of trust and obedience that the promised goods are delivered to the children of God (Phil. 2:12, 13; 2 Thess. 2:13). When Peter said, “Look, we have left everything and followed thee; what then shall we have?” (verse 27), was his question the product of holy curiosity, or, in whatever slight degree, of a mercantile spirit? The division of opinion among commentators in their attempt to answer this question is most interesting. Some, in their zeal to defend Peter against every charge, go so far as to say that those who distrust Peter’s motives are judging others by their own ethical standards. Others go to the opposite extreme and regard Christ’s sayings, the one reported in verse 30, as also the parable immediately following (20:1–16), to be inexplicable unless Peter’s worldly motivation be taken into account. May not the best procedure be the following: A man is innocent unless his guilt can be established beyond any reasonable doubt. Accordingly, we have no right to charge Peter with anything wrong. On the other hand, it is also true that his question, though purely motivated, may have occasioned the warning that is found in the verse we are about to consider. Jesus may well have meant something on this order: “Peter, your question, ‘What then shall we have?’ is right and proper. Nevertheless, since it is so easy to fall into the error of expecting a reward based on supposed merit, I must warn you, so that you may not be caught unawares.” Besides, is it not possible that the undoubtedly mercantile attitude of the rich young ruler (verse 16) may have caused Jesus to issue a needed warning? It should not escape our attention that the words of verse 30. (as well as those of verses 28 and 29) are not addressed to Peter alone but to all the disciples: But many that are first shall be last, and (many) last first. We are reminded of the words of Jehovah addressed to Samuel, “Jehovah does not see as man sees; man looks on the outward appearance, but Jehovah looks on the heart” (1 Sam. 16:7). The “first” are those who because of their wealth, education, position, prestige, talents, etc., are highly regarded by men in general, sometimes even by God’s children. But since God sees and knows the heart many of these very people are by him assigned to a position behind the others; in fact, some may even be altogether excluded from the halls of glory. Cf. Matt. 7:21–23. There does not seem to be any good reason for saying that Jesus meant that all of those who “shall be last” are going to be lost or outside the kingdom. Fact is: not only are there degrees of suffering in hell (Luke 12:47, 48), there are also degrees of glory in the restored universe (1 Cor. 15:41, 42). There will be surprises however. Not only will many of those who are now regarded as the very pillars of the church be last, but also many who never made the headlines—think of the poor widow who contributed “two mites” (Mark 12:42), and Mary of Bethany whose act of loving lavishness was roundly criticized by the disciples (Matt. 26:8)—shall be first on the day of judgment (Mark 12:43, 44; Matt. 26:10–13). The disciples, who were constantly quarreling about rank (18:1; 20:20; Luke 22:24) better take note! MacArthur, J. F., Jr. (1985). Matthew (Vol. 3, pp. 203–206). Chicago: Moody Press. Calvin, J., & Pringle, W. (2010). Commentary on a Harmony of the Evangelists Matthew, Mark, and Luke (Vol. 2, pp. 407–408). Bellingham, WA: Logos Bible Software. Carson, D. A. (2010). Matthew. In T. Longman III & D. E. Garland (Eds. ), The Expositor’s Bible Commentary: Matthew–Mark (Revised Edition) (Vol. 9, pp. 481–482). Grand Rapids, MI: Zondervan. Mounce, R. H. (2011). Matthew (p. 185). Grand Rapids, MI: Baker Books. Weber, S. K. (2000). Matthew (Vol. 1, pp. 316–317). Nashville, TN: Broadman & Holman Publishers. Hendriksen, W., & Kistemaker, S. J. (1953–2001). Exposition of the Gospel According to Matthew (Vol. 9, pp. 730–732). Grand Rapids: Baker Book House. This entry was posted in Daily Devotional Guide, Verse of the day on March 18, 2019 by Truth2Freedom.